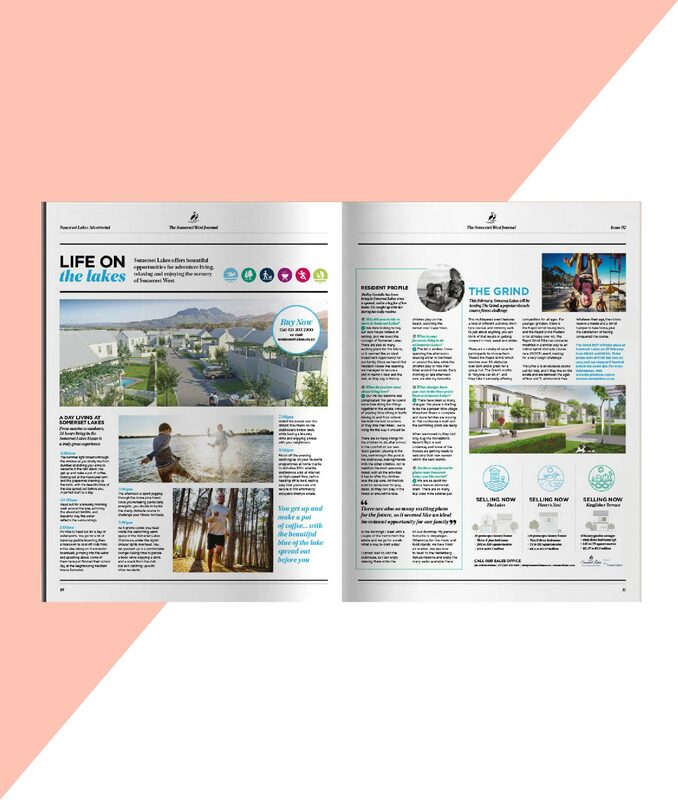 Situated on the brim of the booming community of Somerset West, Somerset Lakes is a comprehensive adventure lifestyle estate. 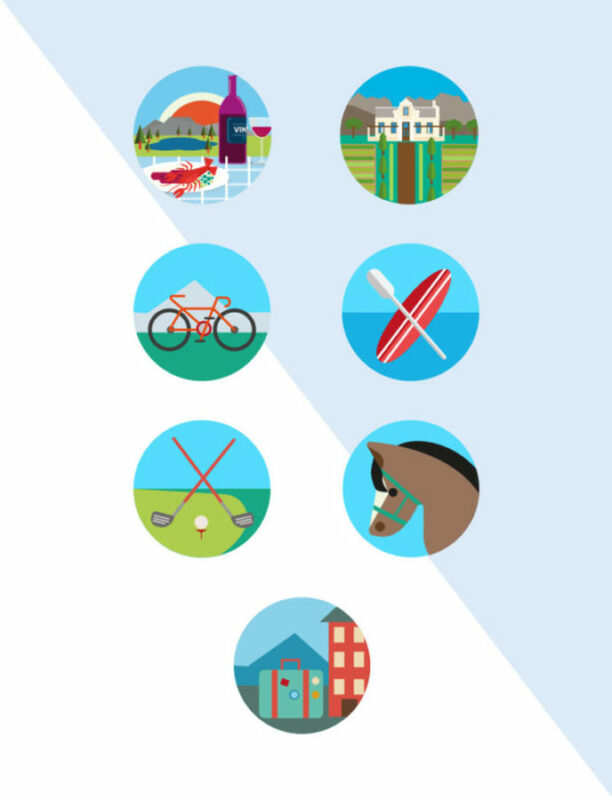 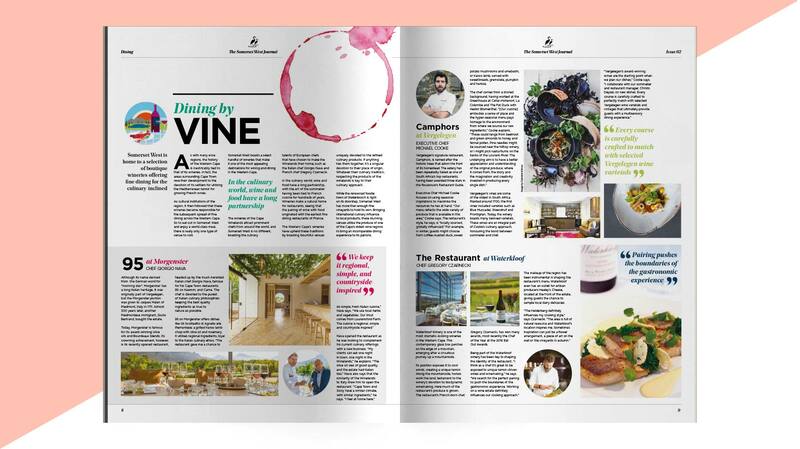 The estate's publication encapsulates the town's vibrant culture and explores all there is to do in the heart of the Cape Winelands. 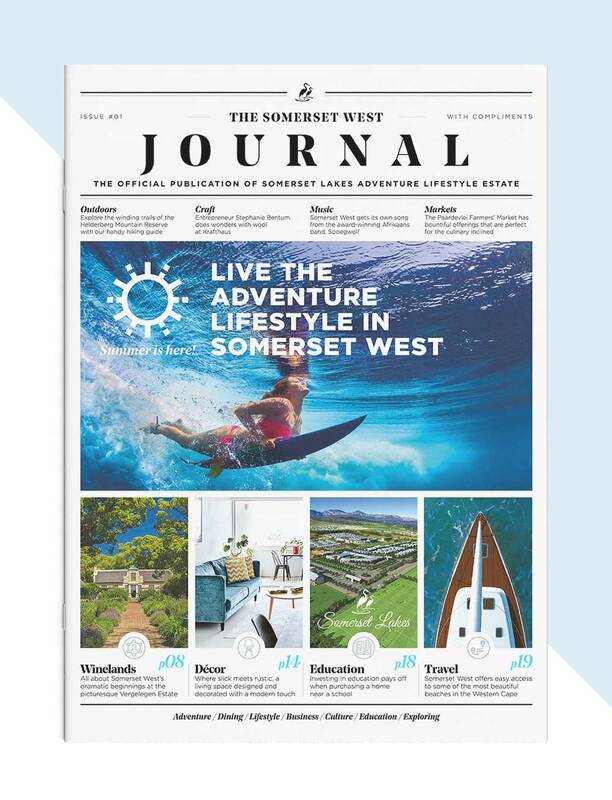 The Somerset West Journal played a key part in the marketing and communications strategy of Somerset Lakes Estate. 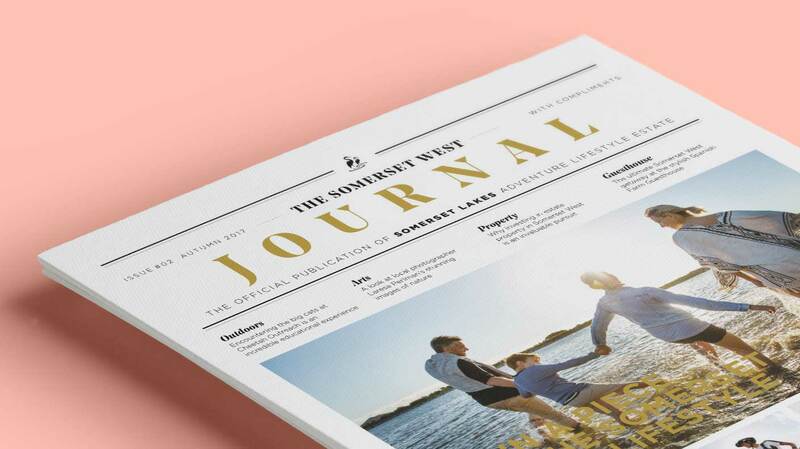 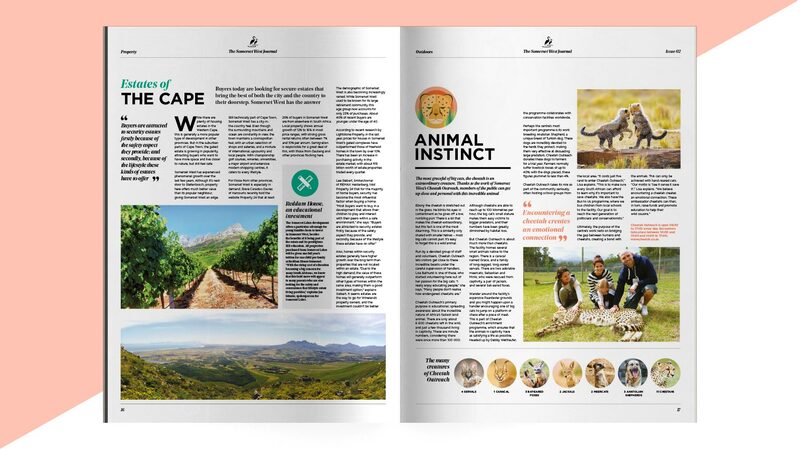 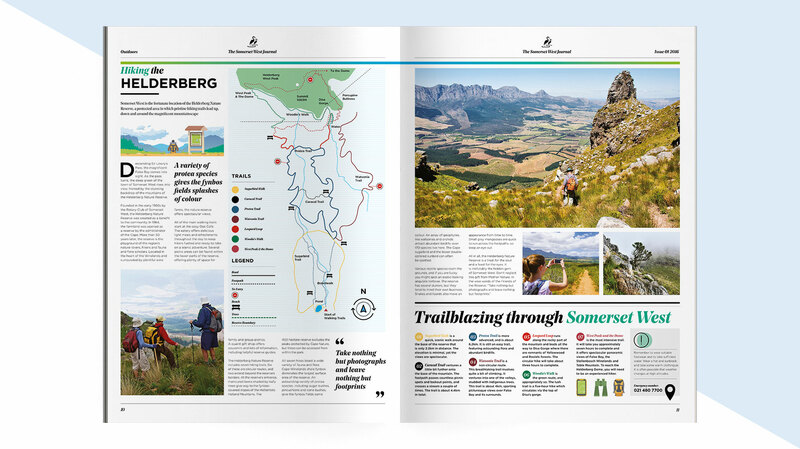 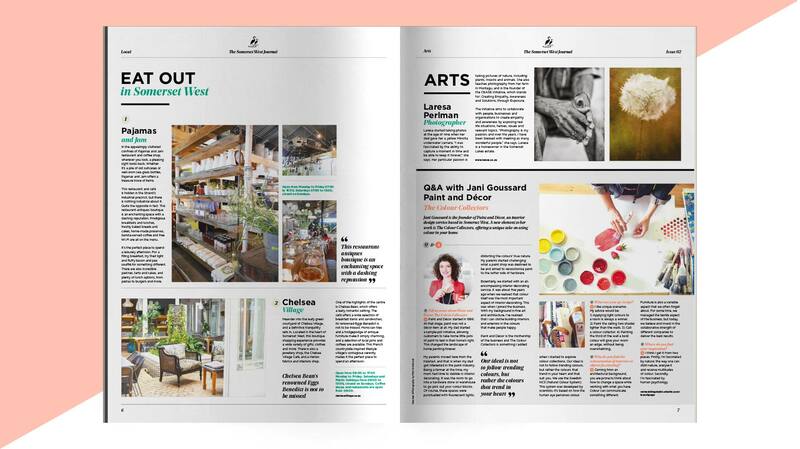 This exclusive publication for Somerset West gave the reader insight into local businesses, restaurants and wineries. 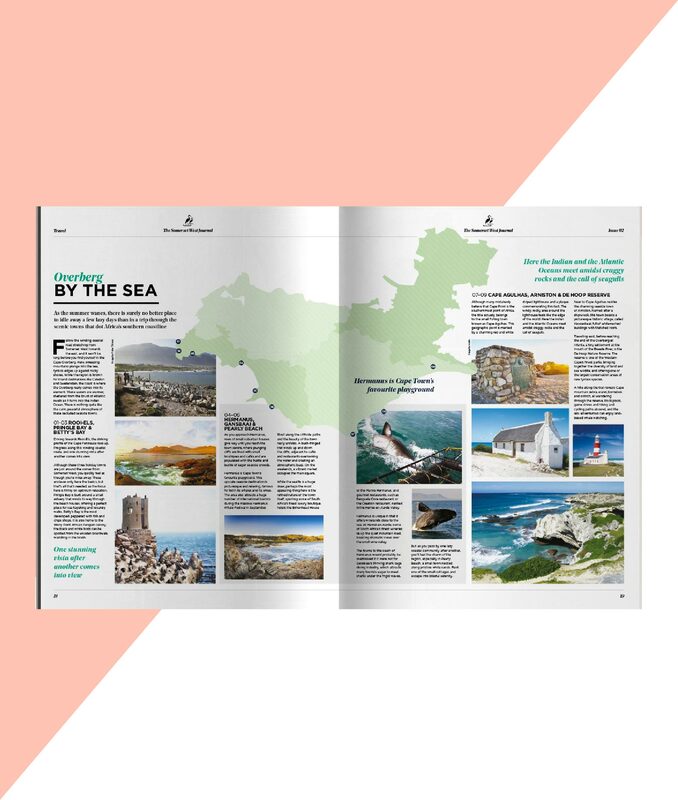 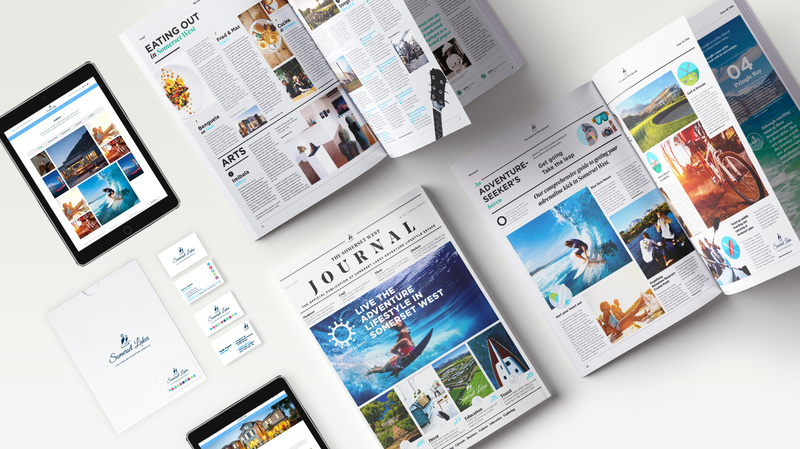 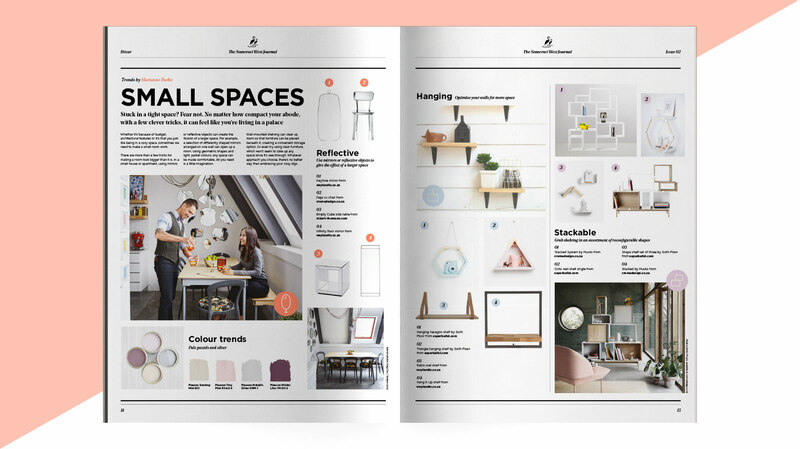 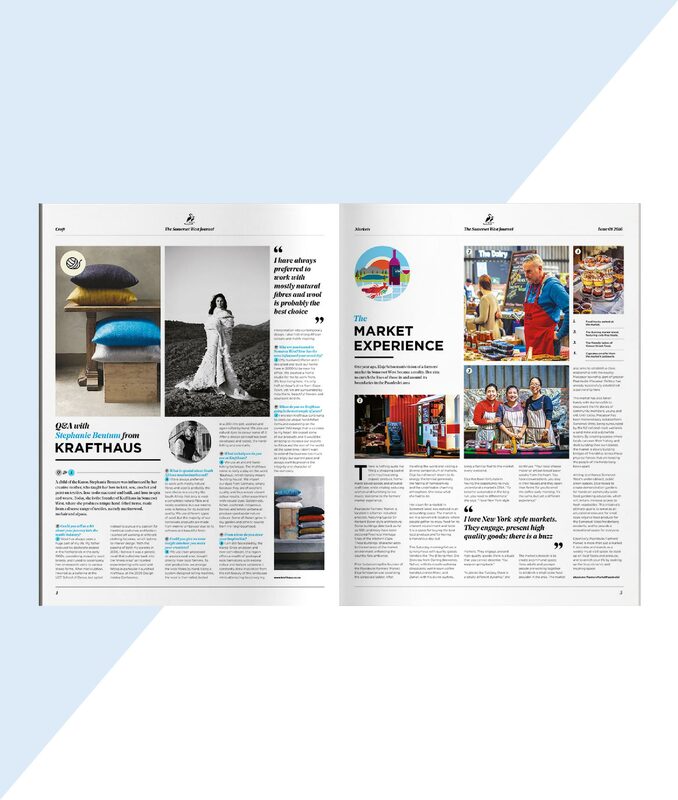 The publication featured contemporary editorial design, original writing, photography and illustration, making it an invaluable marketing tool. 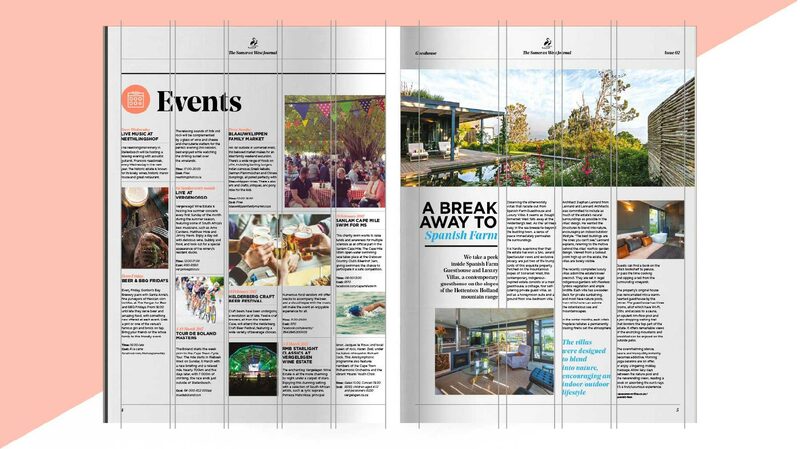 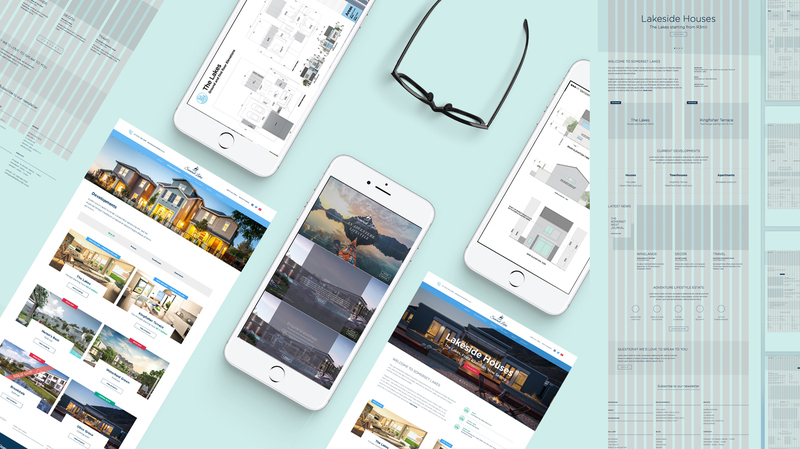 Grids are used to bring order to the layout, make navigating though information a lot easier and adds structural harmony and consistency. 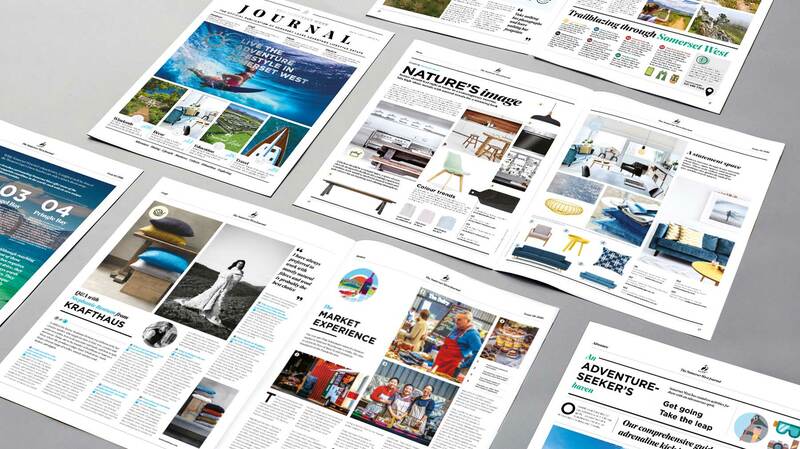 Our publications unite the worlds of print and digital through compelling content. 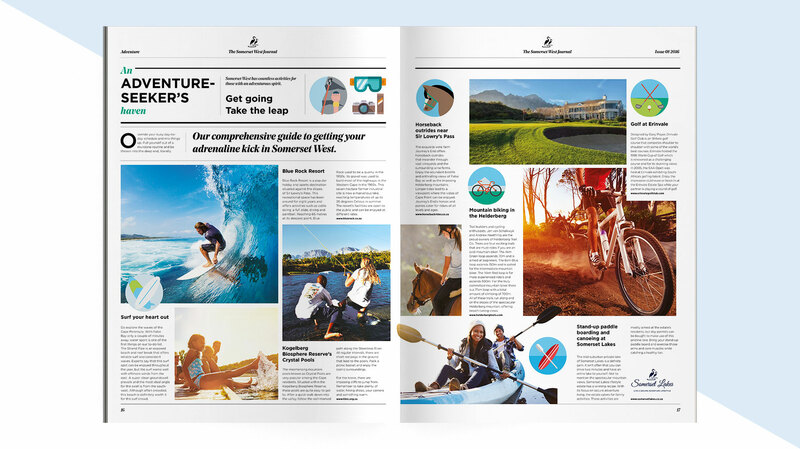 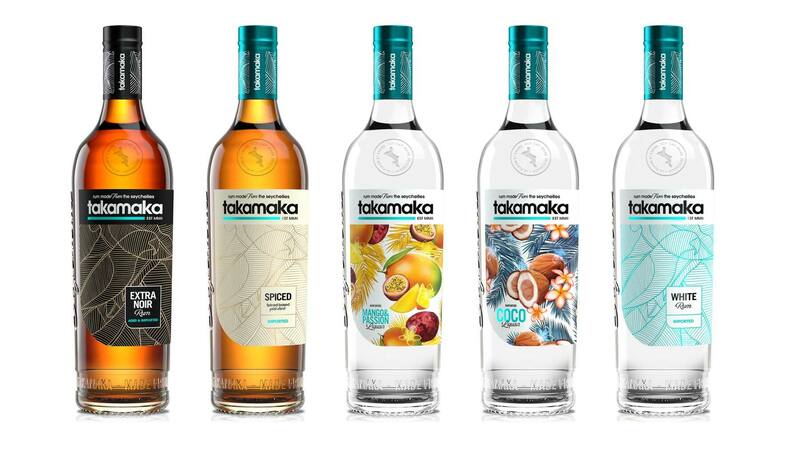 The carefully crafted print creation is a very strong marketing tool that encapsulates a brand.